William Dodd was the sixth child born to David and Agnes (Agatha) Dodd. William was born about 1738 in Lunenburg, Virginia. David and Agnes Dodd had at least 7 children. William and his siblings were orphaned in 1758 when David & Agnes died. William married Elizabeth (Unknown) prior to 1763 and had at least 7 children. By 1784 William (age 46) had moved his family to Johnston County, NC. His siblings moved to North Carolina also. The 1800 Census shows William and Elizabeth Dodd living in Johnston County, NC. William would have been about 62 years old. The Census indicates that he owned 4 slaves. William Dodd, Sr., died about 1813 in Johnston County, NC. 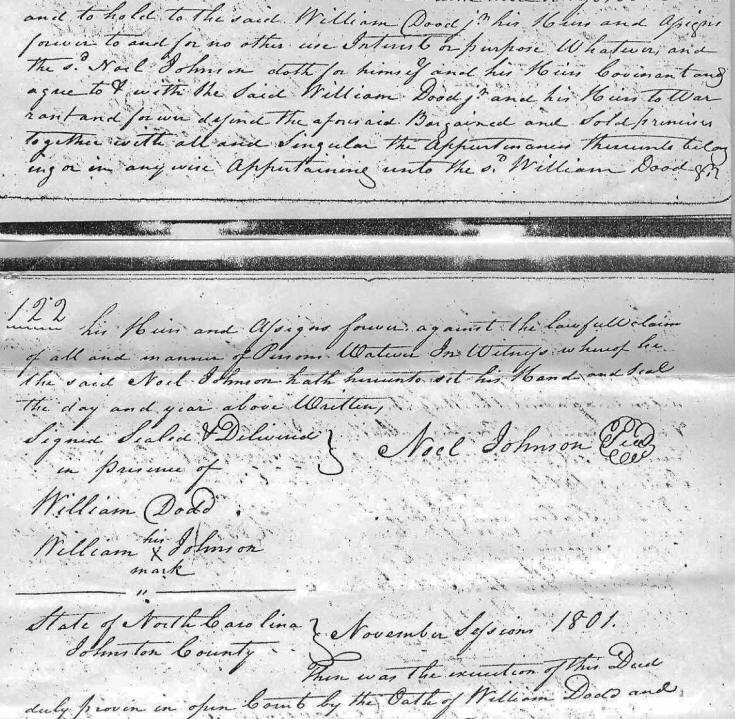 In 1801, Noel Johnson sold land holdings in Johnston County to William Dodd, Jr., son of William Dodd, Sr.
An "Indenture" is a legal and binding contract between a bond issuer and the bondholders. The indenture specifies all the important features of the bond, such as its maturity date, payments and so on. ing or in any wise appertaining unto the sa. (said) William Dood. Jr. 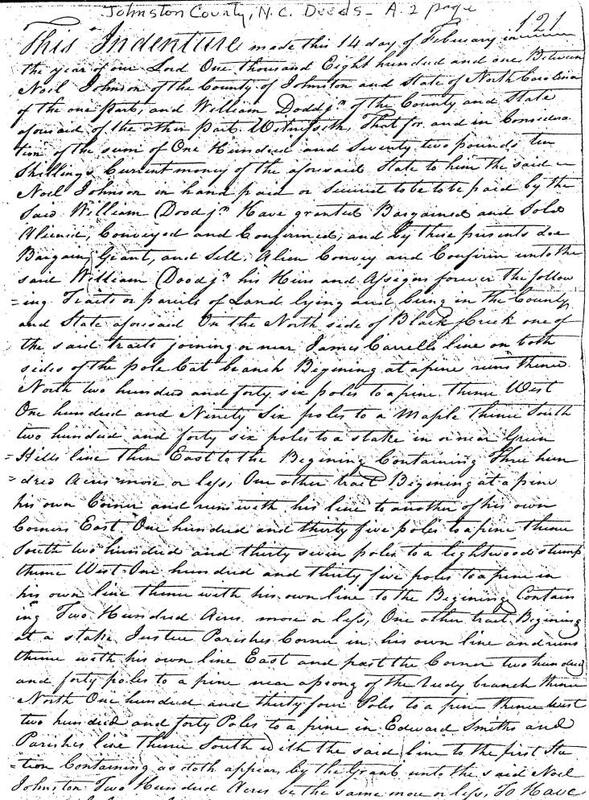 Thanks to Ernest K. Johnson, the GGG-Grandson of Noel Johnson, for sharing the 1801 Land Indenture. You can contact Ernest at gaelstar@att.net .